Bucs are one of the 5 teams who are the lucky recepients of playing a home game in 2019 in another country. There's a 20% chance we get stuck with the Mexico City game. I think definitely going to London, especially with the Glazers owning Man U. Maybe they can use a special roster exemption when they play over there to make De Gea the FG kicker. It makes sense for us to go to London with all the west coast teams that are also hosting international games. Yeah, there’s no way they’ll send us to Mexico City when two of the LA teams are also losing home games to the International series. Hopefully the game is at Spur’s new stadium. Wembley has absolutely nothing to do around it. 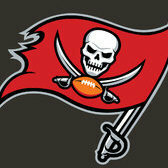 The Bucs have a surprisingly large fan base over here, (despite rather than because of the Glazers owning Man U). I guess that’s what being good when the second generation of fans in this country started watching the game does. This is a load of crap. We lose a home game. Fine. But against a division opponent? Always about the pursuit of the dollar above all else for the league. Not shocked, did the same thing to the Jags and Chargers. Idk what the BA effect will be like next year but let’s be honest, they love the Bucs in London and we’ll probably have more of a home game against a division opponent in London than at Ray Jay. That’s pretty poor that we lose a division home game. Should be a relatively pro Bucs crowd though since we’re surprisingly popular over here and the only Panthers fans I know fell off the bandwagon a while back.